As a tech writer, I have lots of gadgets. Smartphones, tablets, and all sorts of other fun stuff. Because of this, new accessories aren't something that I'm often super-impressed with. Every once in a while, though, a new product lands in my hands that really is more than I expected. 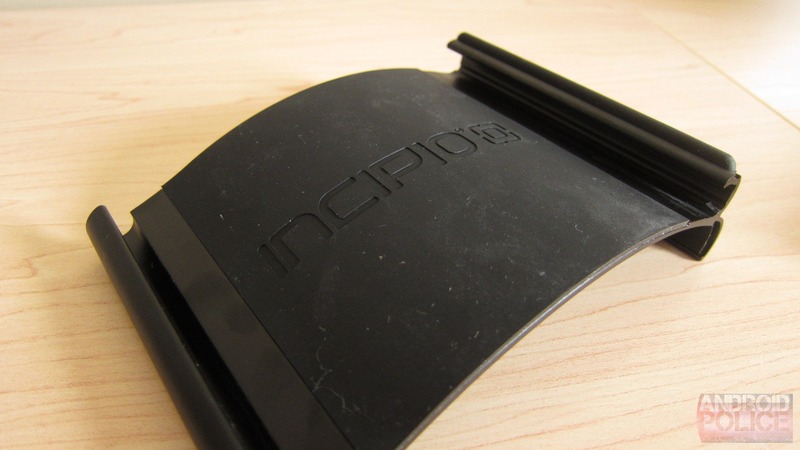 Thus is the case with the FIXIE tablet stand from Incipio ($40). 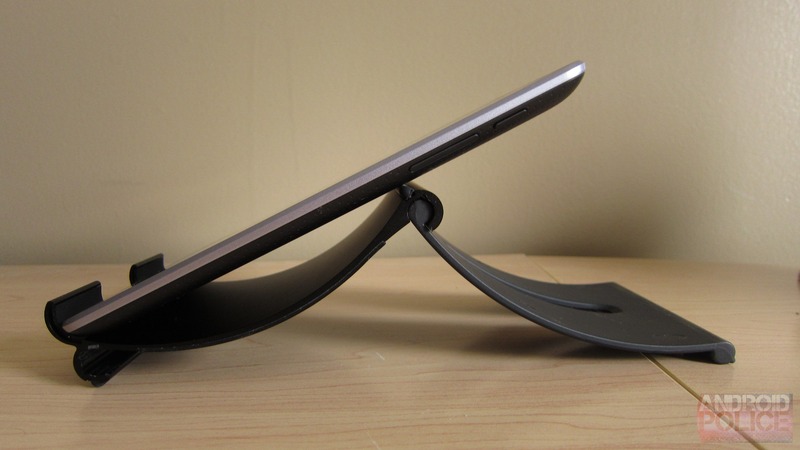 I know what you're thinking: "wait, you were impressed with... a tablet stand? Really?" In short, yes. 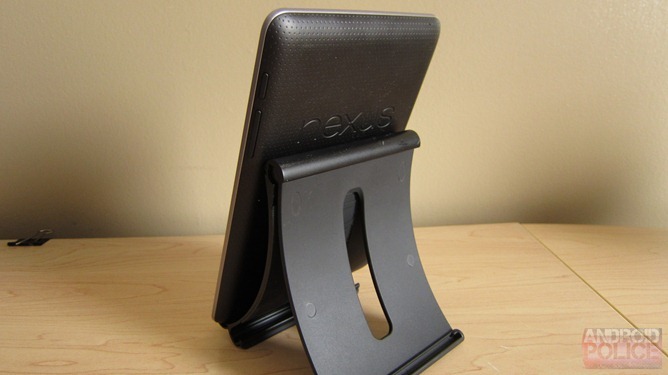 I'll be honest with you - when I got the FIXIE stand, I was really expecting just another tablet stand. 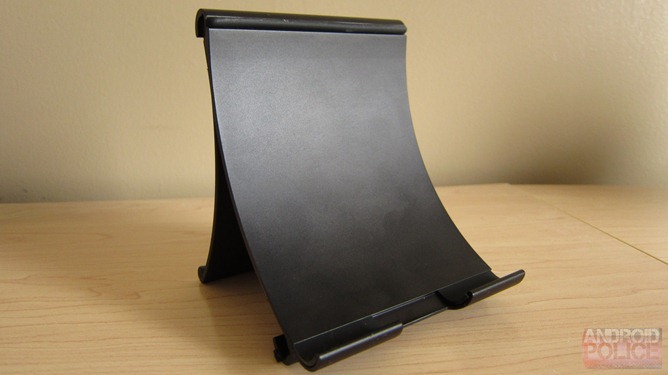 Most stands work well - after all, they really only need to hold the device to perform the function for which they were created. The FIXIE stand is not so much different in function, though, but rather in form. I just really, really like the design. That's not to say it isn't functional, just that it's also sleek and classy to the point that I don't mind looking at it even when my tablet isn't on it. For those who don't know, I'm a stickler for good minimal, modern design; I don't want some eyesore sitting on my desk, no matter how functional it may be. In that respect, FIXIE delivers better than any other stand I've used. And that makes me happy. What makes it so good, you ask? For starters, the curved, aircraft-grade aluminum arm is simple and elegant. 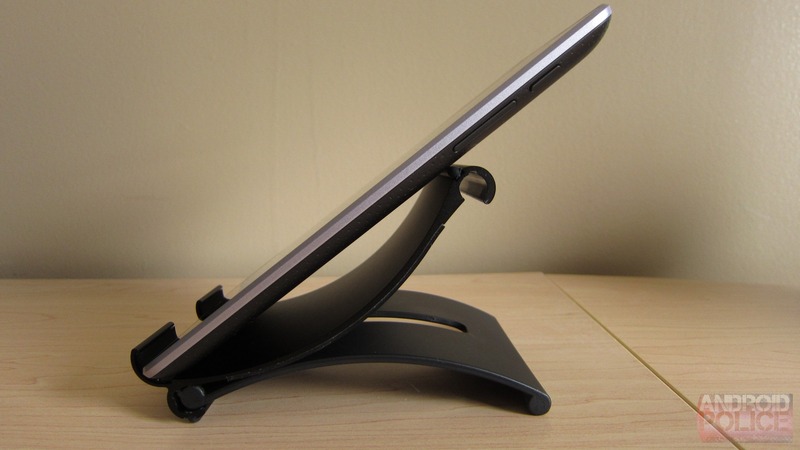 The overall design of the stand is quite unique, as it is actually constructed of two interlocking parts that can be re-arranged to hold the tablet in various different positions. : present, share, view, and type - named such for the various ways Incipio assumes you'll use the stand with each viewing angle. 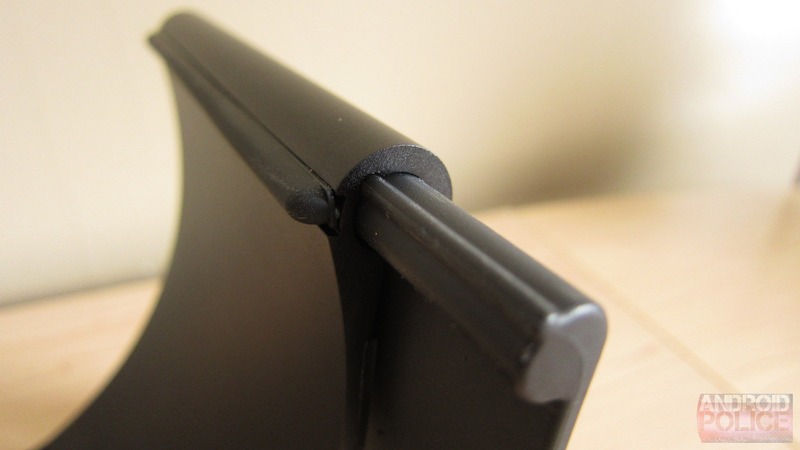 The main arm that holds the tablet features small rubber grips at the bottom and top, which prevent the tablet from slipping. The backside of the arm is covered in rubber with an embossed Incipio logo; the plastic "leg" has a cutout that aligns with this logo perfectly (so it's always visible), which I think is a very nice touch. The biggest downside of this stand is that trying to figure out how to fit the pieces together in all the correct ways can be a bit confusing at first. With that said, once you know the various positions, recreating them isn't much of an issue. During my time with the FIXIE, though, I didn't change the layout very much. I found that "present" worked best for me, and just left it like that. I imagine most other people would do the same. The unit I have is solid black, but for those who want a splash of color in their life, FIXIE is also available in red, blue, and silver - all of which appear to be very classy looking (judging by the images on the Incipio site, which seems to be pretty accurate). 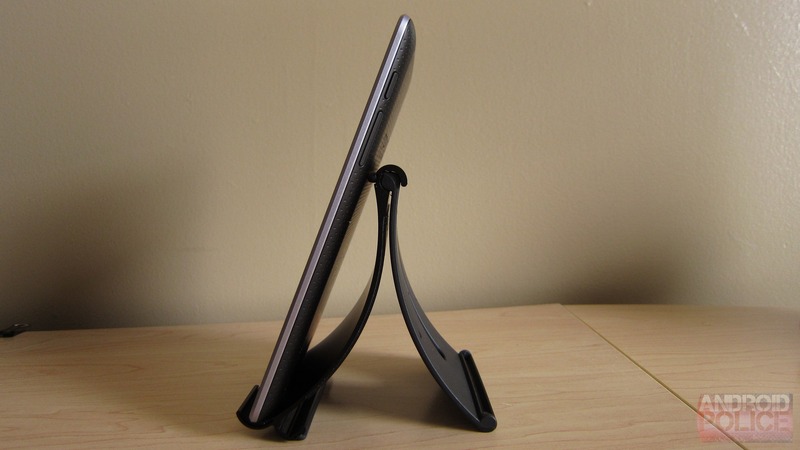 Overall, I love the FIXIE tablet stand. It easily manages all sizes of tablet in both portrait and landscape made, offers a nice variety of viewing angles, and it looks fantastic doing it. 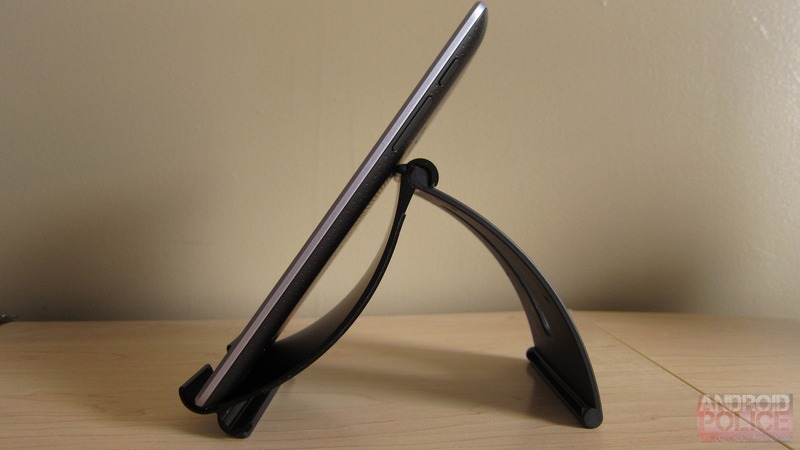 I readily recommend the FIXIE stand to anyone looking for an elegant tablet stand.